This book is a really stunning text book. The cover, with its bright orange spots on it, along with the orange edging on the pages makes this look more of a ‘coffee table’ book, rather than one you would use daily in the kitchen. Personally, I had not heard of the author Emiko Davies before reading this book, but read that she is an international person with a Japanese mother and Australian father. 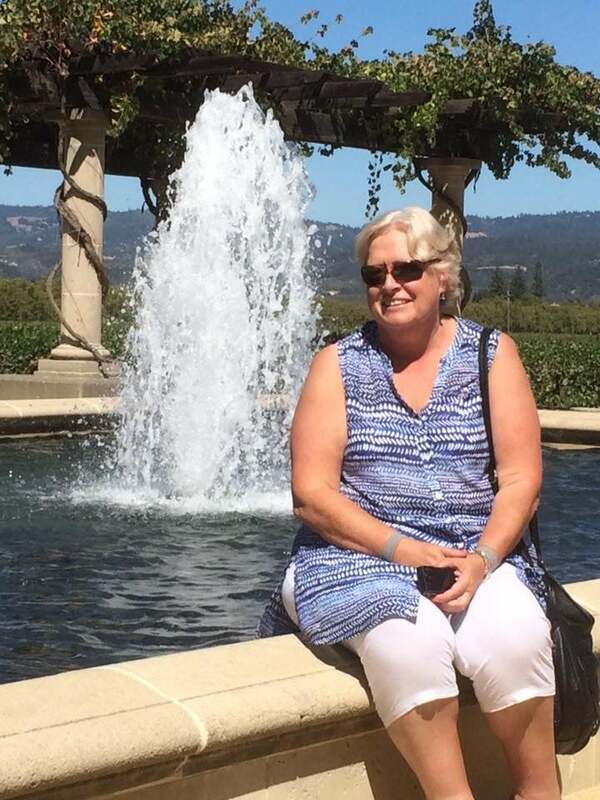 Her love of everything to do with Florence really comes across in this book. The introduction to the book is far more of a history book than a cookery book. 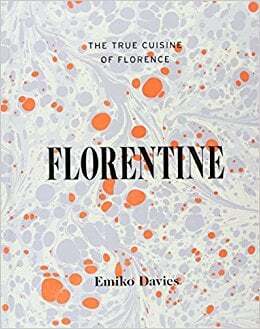 It details the way Florentine’s have a relationship with food and how the food has evolved from the Renaissance to the modern day. The pictures, mostly in black and white, are stunning. From my point of view, any book that starts with recipes from ‘The Pastry Shop’, and moves on to ‘The Bakery’, is my sort of book! I often start reading cookery books backwards, starting with desserts and all sorts of baking, so, having these first was really refreshing. All the recipes have their authentic Italian names, with an English translation below, and I think ‘Authentic’ is the word that truly sums up this book. 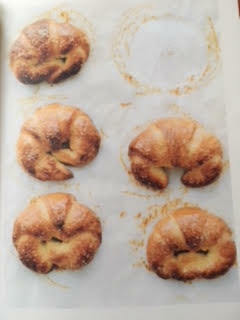 One of the first recipes in ‘The Pastry Shop’ chapter is for Cornetti. These are Italian Brioche Croissants. I really want to try these, but the new year diet has stopped me so far due to the amount of butter added to the dough. The instructions are very detailed, even suggesting these are made best over about three days. I am not sure I have yet got my head around putting dough with yeast in it, in the fridge with a heavy weight on it to stop the rise, but I really want to see that this works. The end product of a beautiful brioche style croissant looks really worth a go! I will pluck up the courage to try these soon! 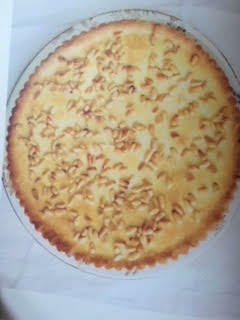 Also included in the Pastry chapter is a great recipe for Torte della Nonna (Grandmothers tart) which is a classic custard tart with Pine nuts. I am sure this is something we made on the Flavours holiday in Tuscany, and is really lovely. 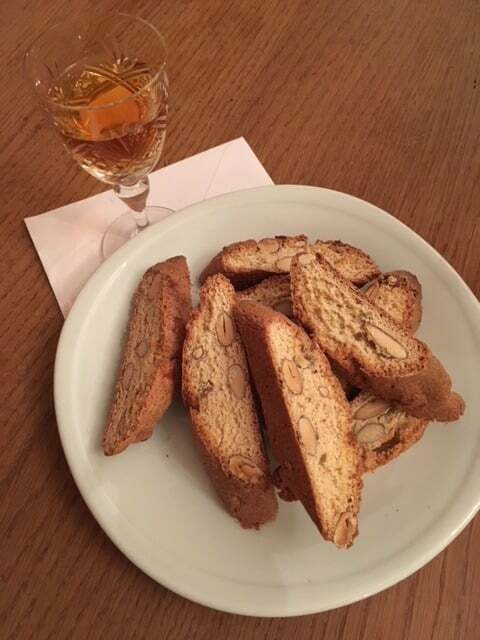 In the ‘Bakery’ chapter is a simple recipe for Cantuccini, the classic Almond Biscotti, and also the Schiacciatine, which are a bit like Foccacia , but don’t ever suggest this to a true Tuscan as they will certainly tell you the differences. Again, I think both these were made on the Tuscany holiday. The history of Tuscan Bread is detailed, as is the description of the importance of Bread in general to the Tuscan people. Tuscan Bread itself has an obvious lack of salt, which can make it bland, but teamed with all sorts of tasty dishes you would never notice this. In the later sections, The Market, Trattoria and the Butcher there are more truly authentic dishes. There are many included for ingredients like tripe, offal and rabbit. Personally, I am a bit of a coward when it comes to preparing these sorts of dishes, but there is no doubt at all that they are truly authentic. I think many recipes could be adapted to use different meats but this would lose that all important fact that they would no longer be truly authentic. Overall, I love this book. However, it will sit on my coffee table initially, rather than in my kitchen, while I pluck up the courage to do the recipes full justice.